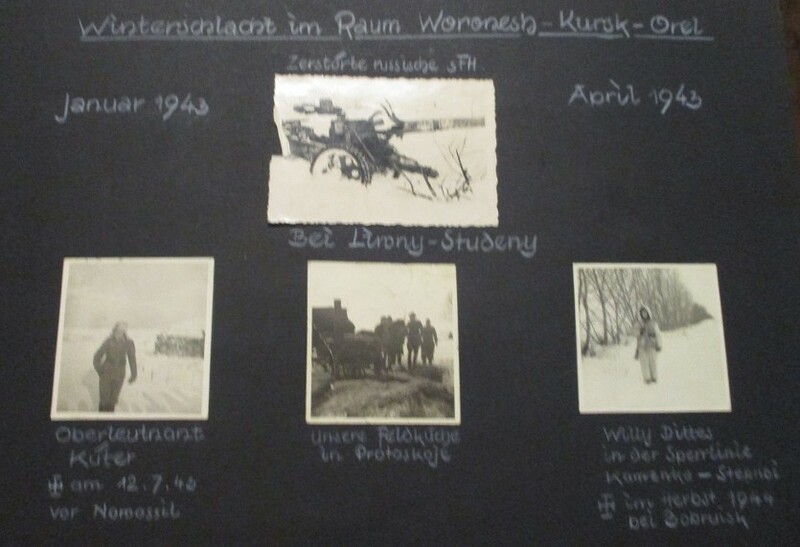 Extensive Heer Artillerie Leutnant group with service blouse, photo album, misc. 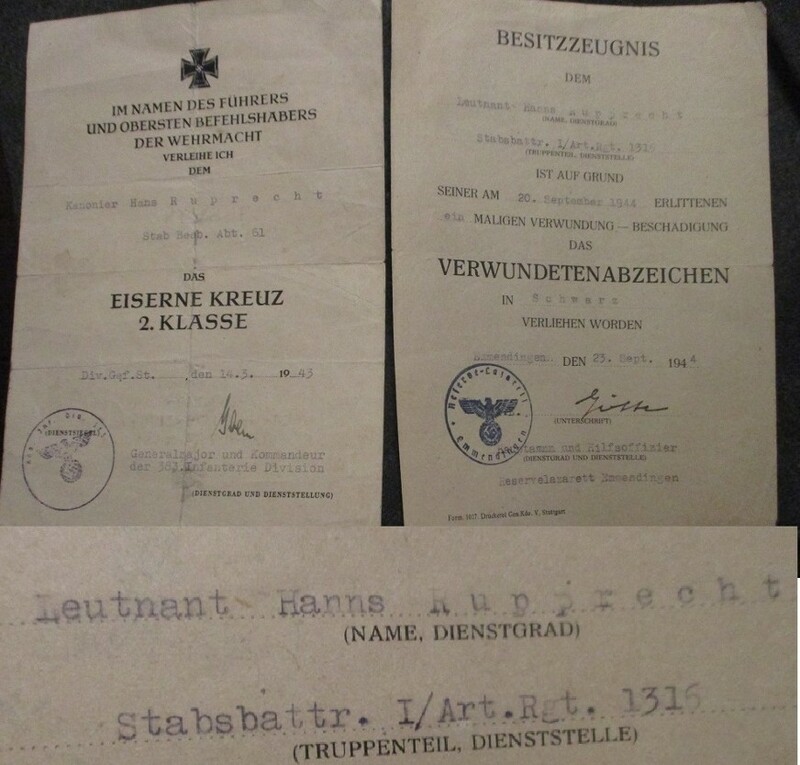 paper and award documents for EK2 and Black Wound Badge. 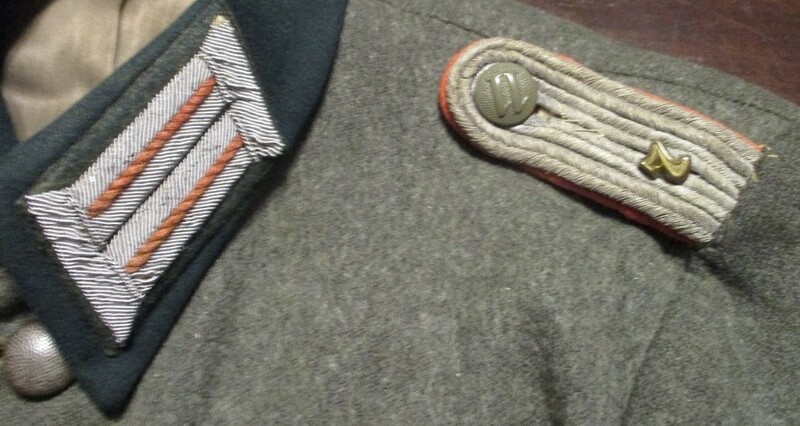 The tailor made service blouse is shown in at least one photo and is a mid war issue wool tunic lined in grey rayon, with labeled breast pocket and dagger/sword hanger, four pleated patch pockets, dark green badge cloth stand and fall collar and turn back cuffs, the bullion wire collar patches are machine applied and the shoulder boards are sewn in and each has a gilt numeral 7, the bullion eagle and woven Jäger arm badge are period hand applied. 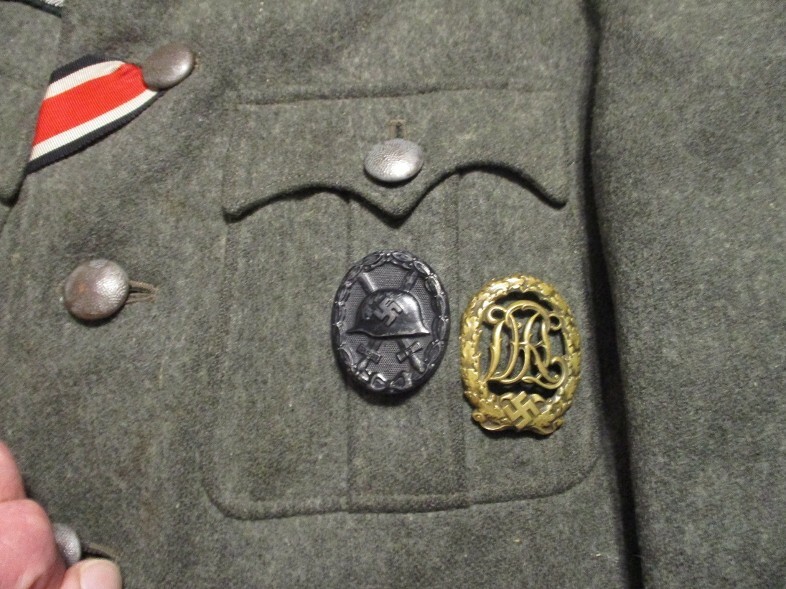 The red colored Waffenfarbe has faded a bit, with EKII ribbon, DRL Sports Badge and Black Wound Badge, (badges are pinned through the pocket without loops). 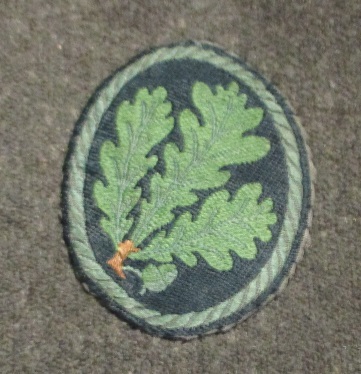 Blouse shows some aging and wear but there are no holes or repairs. Includes a great large album with photos and captions dating from 1942 through April 1945, subjects such as winter and summer scenes are shown, with shots of comrades, bunker building, graves, award ceremonies, posting in France, Paris, color postcards of Strasbourg, home leave and such, and is very well laid out. 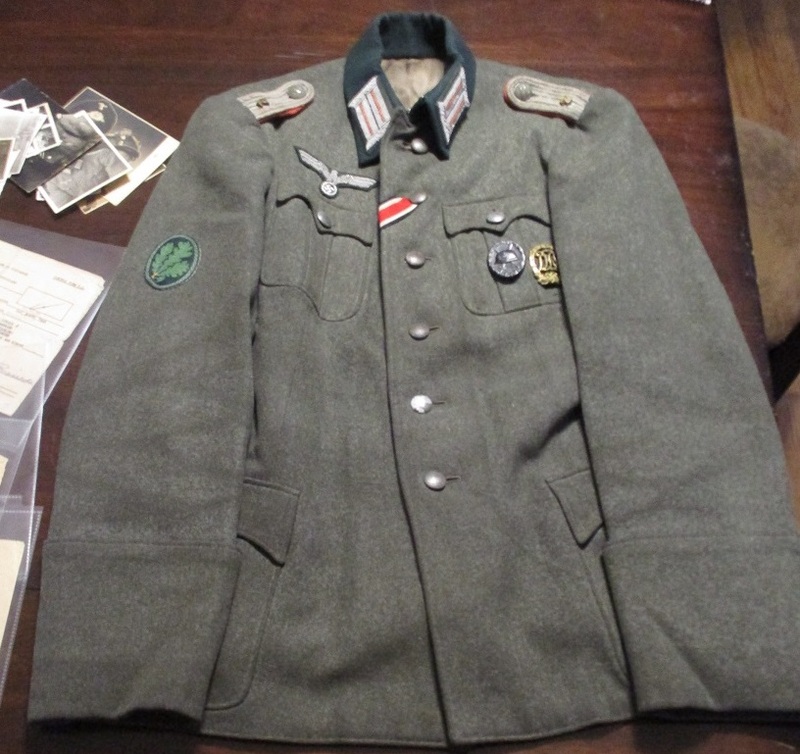 There s also included his well worn and well filled out Soldbuch showing promotion from the original rank of Oberkanonier. 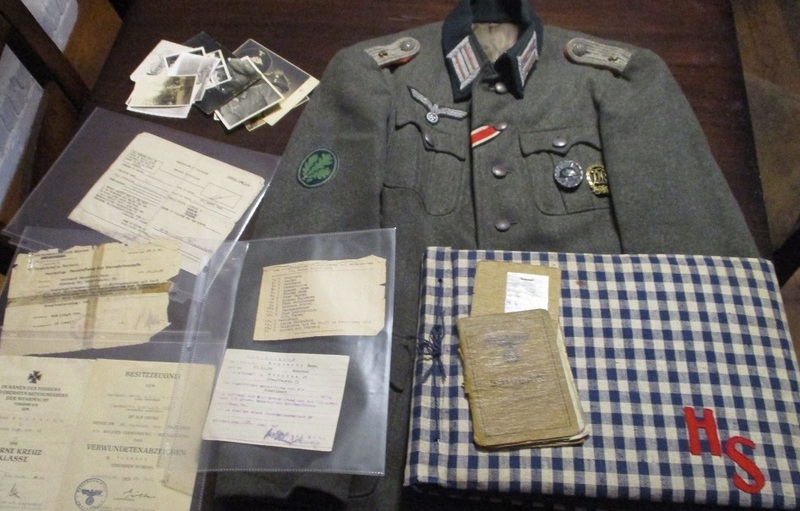 The award documents for the EKII and the black wound badge are there with loose photos, discharge papers, disability papers, and a small drawing.